BASQUE activist Arturo Villanueva Arteaga (32), who has lived in west Belfast for four years, was arrested in a raid on 21 April under a European warrant issued by the Spanish authorities who are seeking his extradition to Spain on “terrorism” charges. Villanueva, who is well-known in the west Belfast community and has been running a tourism business providing tours to European tourists, has said he will fight the extradition attempt. He was released on bail under conditions of reporting to police daily and living under a 9pm curfew, with the extradition hearing to begin on May 13. The Belfast Basque Committee protested against the extradition attempt outside the court, calling for the case to be dropped. A spokesperson said: “Arturo has been living openly in Belfast for four years and has a life here. The charges relate to the pro-independence Basque youth organisation Segi, which was made illegal in 2001 and declared a “terrorist” organisation by the Spanish Supreme Court in 2007. If the extradition is successful Villanueva faces up to 14 years in prison. In 2001, following the banning of Segi, Villanueva was among 17 young people charged with being a member of the group. Segi, an independent socialist youth organisation with thousands of members, organised political campaigns around the right to Basque self-determination as well as social and economic issues that affect youth. Released on bail, he did not attend the political show trial. 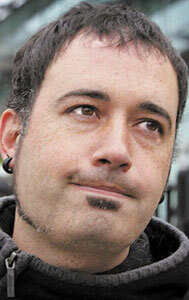 In 2005 Spanish prosecutors called for Villanueva to be sentenced to 14 years in prison in his absence. Segi’s proscription by the Spanish government was part of the state’s long-standing policy of criminalising virtually all political parties, media sources and civil society groups that are in favour of Basque self-determination – and jailing the leaders and members of those organisations. In December UN human rights special rapporteur Martin Scheinin said Spain’s Law of Political Parties defined “terrorism” so vaguely that it “might be interpreted to include any political party which through peaceful political means seeks similar political objectives” as those pursued by armed organisations. Villanueva’s arrest comes after the Belfast Recorder’s Court in March ruled in favour of a Spanish extradition request for former Basque prisoner Iñaki de Juana Chaos to face charges of “glorifying terrorism”. De Juana is appealing the ruling on May 15. The Basque Committee is urging the local community to oppose the targeting of Belfast’s Basque community by the Spanish authorities and to support Villanueva and de Juana in their fight against extradition.